This is a sequence not to overlook. This is the manifestation number, and as many of you know, the Twin Flame number. Why? Because it represents ascension. And ascension is what the Twin Flame mission is all about. Many of you as individuals and as professional readers have reached out to ask about how to conduct a Twin Flame reading for yourself or for another. I am offering my method and I hope you find this spread helpful. 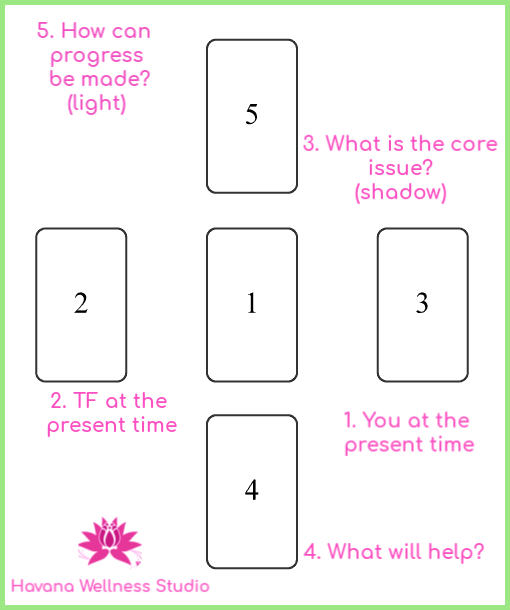 I use this 5 Card spread to tune into the present moment and understand my own Twin Flame dynamic and I use this with my clients as well. The first card in the spread represents YOU at the present time. This card reflects where you are at right now both spiritually and emotionally. The second card in the spread represents your TWIN FLAME at the present time. This card reflects where your Twin Flame is right now both spiritually and emotionally. The third card in the spread represents the CORE ISSUE. This card reflects what issue needs to be healed. This card also represents the SHADOW side of both of you. The fourth card in the spread represents ADVICE. This card reflects what will help to heal the core issue for the both of you. The fifth card in the spread represents how PROGRESS can be made. This card reflects outcome that is in the LIGHT. 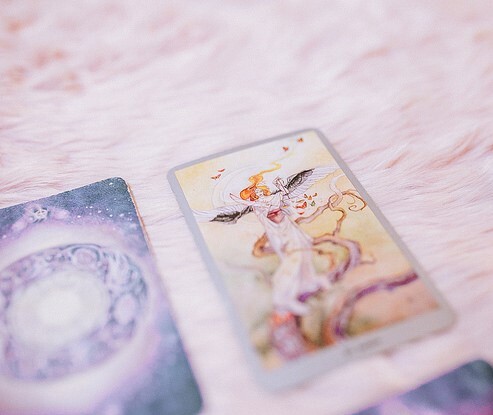 First, let’s talk a bit about the difference between Tarot and Oracle cards. Tarot has historical roots holding provenance. And Tarot is highly structured. Every Tarot deck has the same number of cards (78) with the Major Arcana = 22 cards relating to major events and life pivoting events and the Minor Arcana = 56 cards Page, Knight, Queen, and King. Generally, if you read Tarot proficiently, you will be able to read from any Tarot deck. Oracle cards are less structured and more inspired with influence coming from Spirit, Angels, Shamans, Fairies, Flowers and the like. The structure of each deck is different and the inspiration for the structure comes from the author. So while Tarot may follow very similar rules and structure and interpretation deck to deck, Oracle cards are a different experience depending on the deck you use. I wrote previously about my favorite Twin Flame Oracle deck, especially in reference to the Twin Flame mission. This is a great deck to do a 1-card draw. Is one better than the other? No, they are both used for insight and personal growth as well as coaching and divination. The best way to know which deck(s) to use is to use a few decks and intuitively choose decks that resonate. Interpreting the cards becomes more natural with time, but trust your instincts. You can use a single deck for your spread or you can use multiple decks. I generally choose either 5 oracle decks or 5 tarot decks. I determine which of the 5 decks will represent the first card by using my pendulum. I allow the pendulum to choose the order of the cards. I do not prefer one over the other but I find the Oracle decks to be more fluid in interpretation while the Tarot is more exacting. What question(s) do I ask? I tend to keep it simple. Choose a question similar and steer clear of “future casting” or fortune telling. This process is about looking within and using tools that will aid in revealing what we may be missing or avoiding on our personal path to growth. Once you have conducted a spread for yourself, contemplate on the meaning that stands out for you. Take notes and revisit your notes until the next time you conduct a reading. In my opinion, this is not a reading you do everyday. This is a reading you conduct when you are wrestling with your Twin Flame journey, or when you sense a major energetic shift in one or both of you. Use the cards intentionally and respectfully and always call on your own Higher Power, Higher Self and/or Spirit Guides for clarity. Want to book a Private Session?